Yesterday was Bell Let’s Talk Day 2017, the wireless carrier’s annual fundraiser for Canadian mental health programs, which generated 5 cent donations every time users texted, called or performed various actions on social media, such as retweeting the hashtag #BellLetsTalk. This year saw 131,705,010 social interactions, a 4.6% increase from last year’s 125,915,295, to raise $6,585,250.50 in over 28.5 hours (midnight Newfoundland time to midnight Pacific). 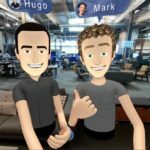 As expected, the addition of Instagram and Snapchat helped triple social media interactions according to Bell. 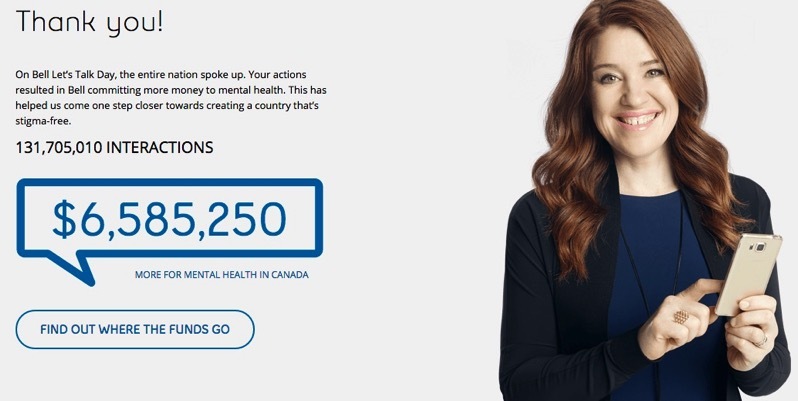 Bell says its total donation to mental health programs in Canada is expected to hit $100 million soon, as the total now stands at $86,504,429.05.